Research said a new approach was ’urgently needed’ from the Government to protect communities and stop spiralling costs. Flooding in northern England in 2015 cost the economy £5 billion. The current flood strategy in England has been slammed a ‘failure’ after evidence suggested the country spends nearly four times as much on land management that ignores or increases flood-risk than on land that helps prevent flooding. New research from the Green Alliance showed public spending on flooding was much more concentrated on the aftermath of the bad weather rather than on preventing it and the damage it could cause. 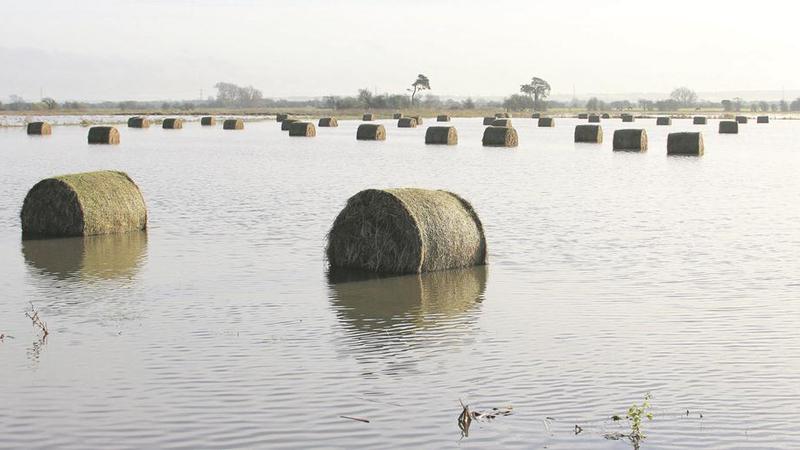 The report found that failure to account for the impacts of different forms of land management on flood-risk had resulted in ‘millions of pounds’ in agricultural subsidy being spent in ways that ‘may actually increase vulnerability in flooding’. Angela Francis, senior economist at Green Alliance, said: “This analysis reveals how we are spending hundreds of millions of pounds of public money in ways that are perverse. If flood management does not change, experts expect associated damages could increase by as much as 150 per cent by the 2080s, with the number of people living in high flood-risk homes also increasing by as much as 98 per cent. The report highlighted a major failing of the current system was its lack of support for natural flood management methods. Rural enterprises director at National Trust Patrick Begg said natural flood management was ‘effective’ and farmers should be rewarded for reducing flood-risk, improving water quality and boosting diversity. He said: “Post-Brexit we have an opportunity to create a system that rewards and incentivises farmers and land managers to implement natural solutions to slow the flow of flood waters. “Farmers are perfectly positioned to make these small interventions in how they manage land that can have a big impact in reducing flooding, saving us all millions of pounds in the long term.